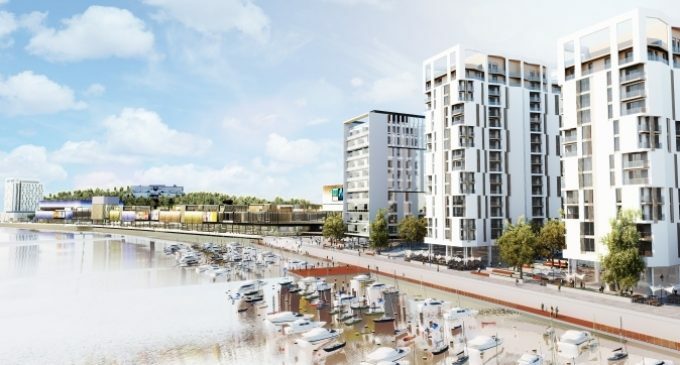 Falcon Real Estate Development Ireland, the company that is backing the Waterford North Quays and Michael Street development projects, has appointed its key advisors including the leasing agency and design team for the project. Cushman & Wakefield, a leading global real estate service firm, has been appointed as the leasing agency for the entire North Quays project. Cushman & Wakefield will be responsible for the commercialization of the retail, office, residential and hospitality components of the project and a leasing campaign targeting potential retailers is already underway. A full team has been contracted for the design and build-out of the project. The Waterford office of Carron + Walsh has been appointed as both project manager and quantity surveyor for the project. The executive architect is Echo Architecture, an international London-based firm which specialises in design and build solutions for retail and hospitality projects. The planning consultant is BMA Planning. Fewer Harrington & Partners is the technical architect. Punch Consulting Engineers has been selected as the civil, structural and traffic engineer and also the health & safety consultant. The mechanical and electrical engineer is BDP and the fire engineering consultant is JGA. “The proposed scheme makes for an exciting addition to the South East Region and comes at a time when there is a particular focus on how people shop. It’s no longer about the basics, it’s about providing an exceptional retail experience for customers and ensuring best in class amenities & services are all under one roof. The emphasis on this development will be to ensure a diversity of mix with a strong leisure and food & beverage offer but also creating a real state of the art environment. 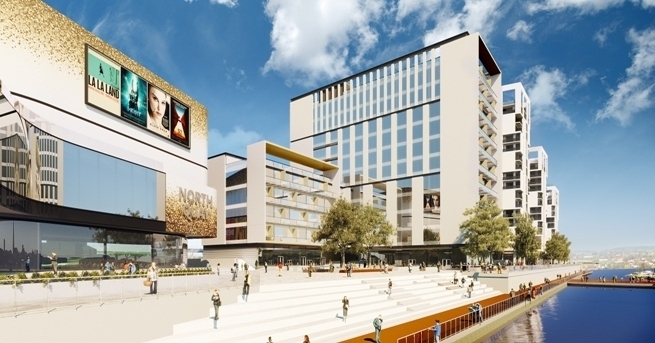 Despite the challenging retail environment Cushman & Wakefield believe that well positioned retail developments will continue to attract both indigenous and multinational retailers,” said Karl Stewart, Head of Retail, Cushman & Wakefield Ireland. The North Quays and Michael Street developments will mark a major economic boost for Waterford and the South East Region of Ireland. The total investment is estimated to be €350 million in the development, phased over three to five years. 2,500 full time roles will be created during the development of the new district, with an additional 4,500 indirect jobs. The planned integration of the schemes with the existing urban centre of the City will confirm Waterford as the Gateway City of the South East Region, increasing regional and national visitation and tourism, and will serve to reverse regional economic leakage. Combined with the forecasted 2040 population growth of 181,000 people for the South East, the retail market size in the South East is expected to grow from €3.49 billion in 2015 to €6.30 billion in 2025.